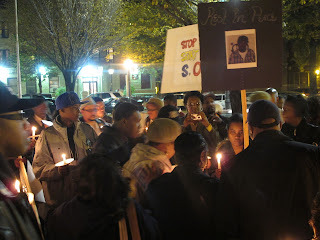 We want to thank everyone who came out and supported our first Peace March last night. 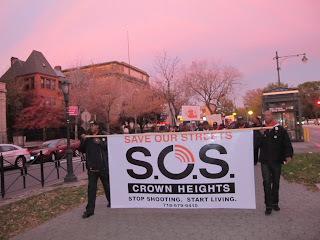 We had over 200 people in attendance as we marched from Utica to Franklin down Eastern Parkway, broadcasting the message to all of Crown Heights that we must unite as a community to stop shooting and start living. 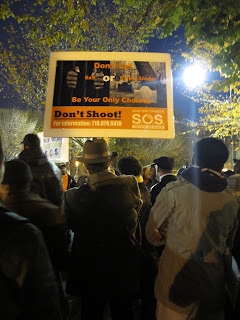 When we reached the end of the march, all gathered together and listened to the words of community leaders, clergy, and family members who had lost loved ones to gun violence. 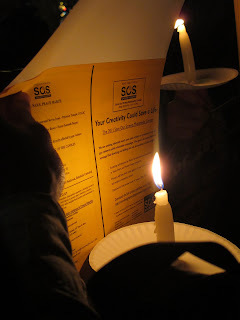 Touching our neighbors as we grieved and re-committed ourselves to stopping violence in Crown Heights and beyond was a powerful reminder that bullets have no names and violence affects everyone. We hope to see you all at next community event against gun violence and again thank all those who came together last night. 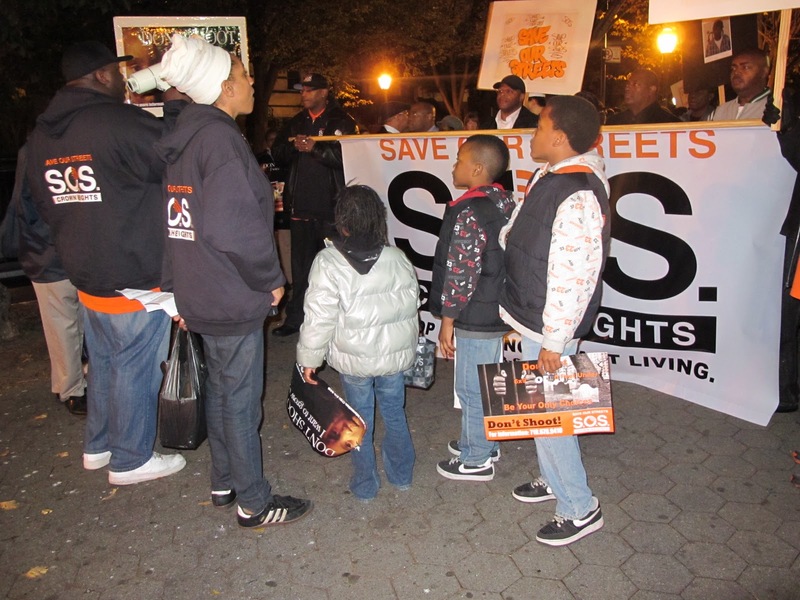 If you subscribe to cable television, check out News 12 Brooklyn's coverage of the march. S.O.S. 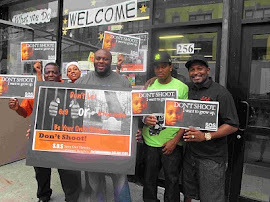 is organizing a community-wide march to promote a message of peace and demonstrate that shootings and killings are unacceptable. 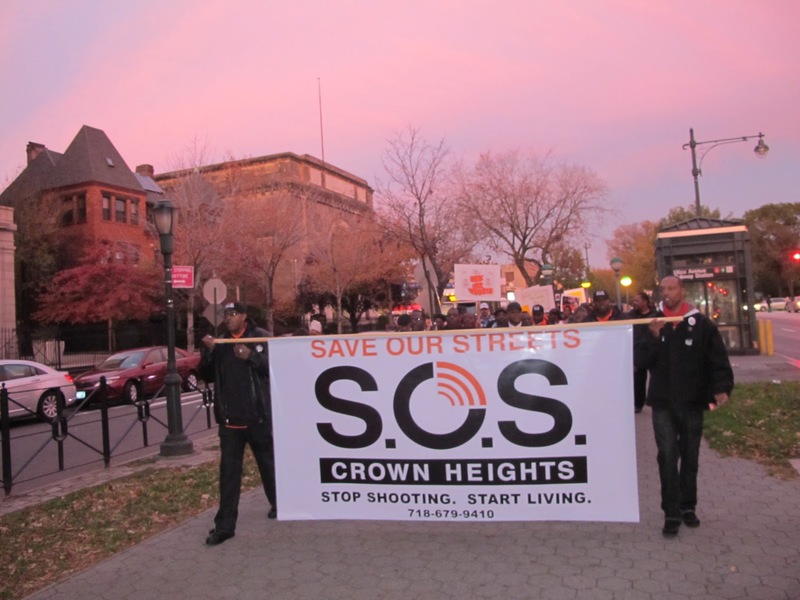 In the wake of the rampant violence that has damaged and claimed so many lives, residents of Crown Heights, including victims’ family members, clergy, and those people closest to the gun violence, are expected to walk. Please Join us and the rest of the community in our march to end the shootings and killings. March will begin at the Northwest corner of Eastern Parkway and Utica Avenue. 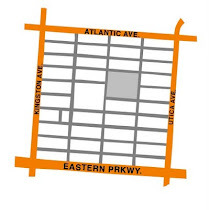 We will walk West towards Franklin Avenue ending at Franklin and Eastern Parkway. 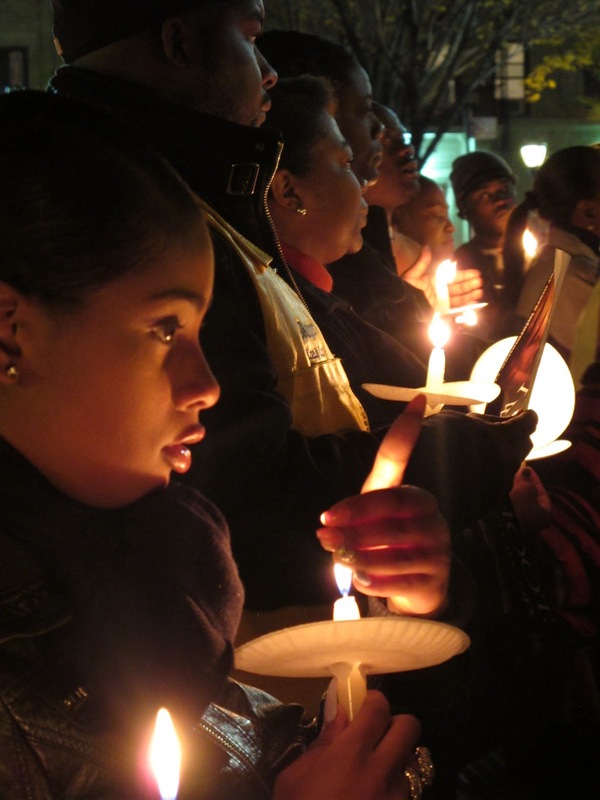 There we will recognize the lives lost and those affected by gun violence in Crown Heights North. For more information and to RSVP, please contact Lisa Jones, S.O.S. Program Manager at 718-679-9410. 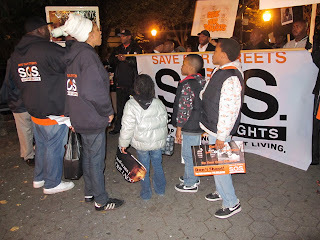 Click HERE to download the Peace March press release. 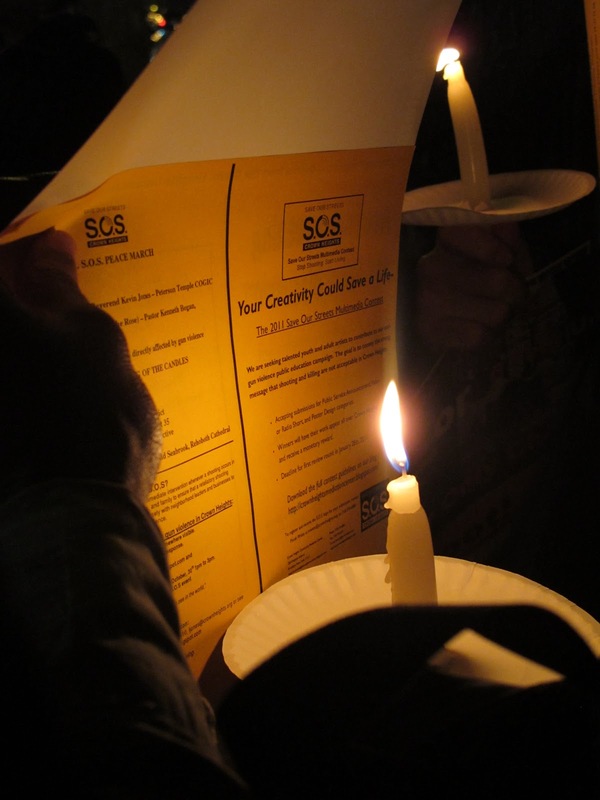 Click HERE to download the march flyer to help us spread the word. 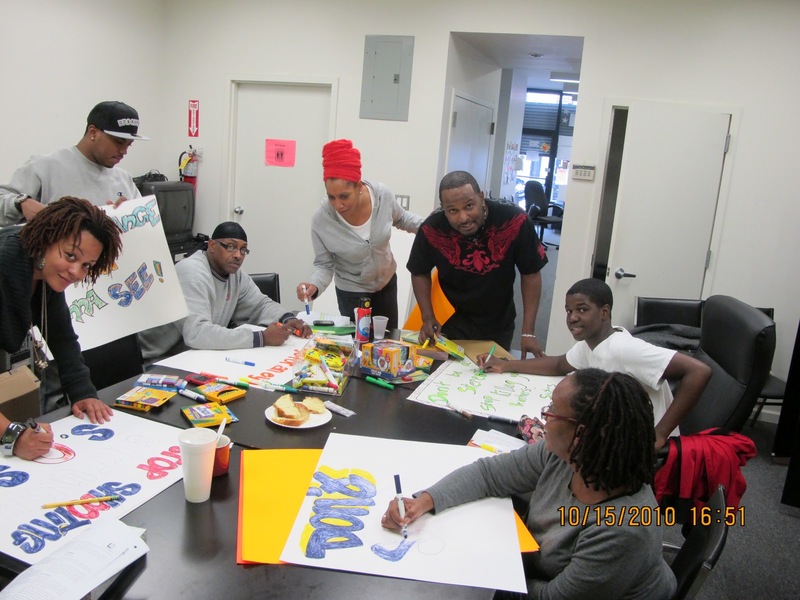 Community volunteers joined the S.O.S. 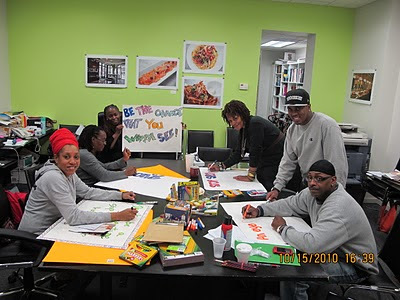 staff at the office today in making posters to get ready for Wednesday's Peace March. We look forward to seeing you out there with us to spread the message to the entire neighborhood that shooting and killing are unacceptable. The Crown Heights Community Mediation Center's director, Amy Ellenbogen, has been nominated for the Brooklyn Do Gooder Award and needs your vote. 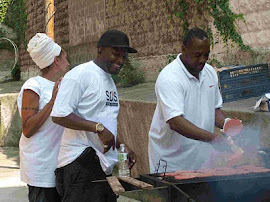 The Brooklyn Community Foundation's Brooklyn Do Gooder Awards celebrates the altruism, philanthropy and commitment of five Brooklyn "Do Gooders" who are working toward a stronger Brooklyn. If Amy wins, we'll receive a $5000 grant to fund some of the exciting new projects we're working on. You can vote up to five times every day until October 15th. Don't delay, vote for Amy today! click HERE for the link. ﻿Sunday September 19th and Monday September 20th two people where shot in a one block radius. Reverend Jones spoke powerful words to the community.